Morneau has had a slumping spring training, but his first two spring training home runs of the year left him feeling good. He entered the game Saturday 4 for 37 with two RBIs, but hit a two-run homer in the first and a three-run drive in the fourth. Both HRs were off AL Rookie of the Year Jeremy Hellickson. Minnesota had 14 runs and 14 hits through the first four innings on their way to a 19-4 win over Tampa Bay. Luke Hughes went 5-for-5 with a home run and two doubles. 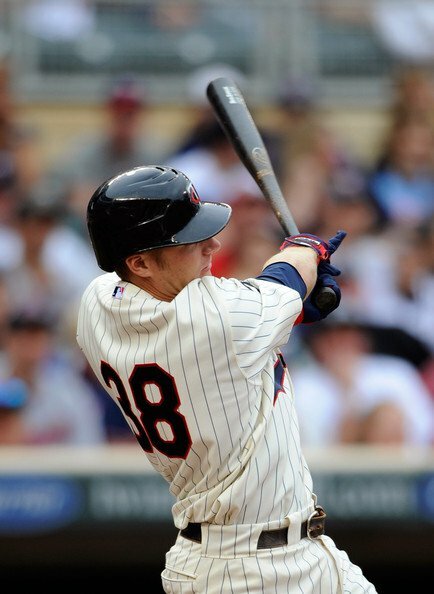 Morneau has been anchoring the designated hitter spot recently, but hopes to return to 1B soon. Minnesota Twins fans have grumbled that Ben Revere just doesn't have the arm to play in center field. He's got the stuff to be a great defensive player... except he probably couldn't throw out a guy at home. Ron Gardenhire acknowledges this. However, he said his arm is good enough for right field. 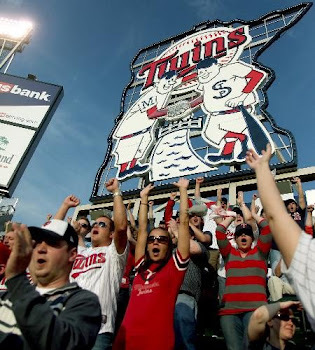 Right field at Target Field is the shortest place to throw the ball home. 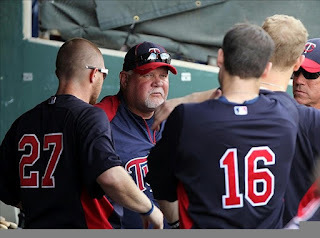 Gardenhire revealed that Josh Willingham will play left field will Revere will likely be in right. Take a look at the heading. Hang on to it in your mind... it may be the only time all year our boys top the Tigers. I hope not... but maybe. The Minnesota win made it clear Detroit has defense issues. Miguel Cabrera was sidelined after getting hit in the face. Brandon Inge and Ryan Raburn are competing for second base, though Inge has been manning 3rd. Let us hope the win is a sign of things to come for the Twins. I can't handle a bad season. 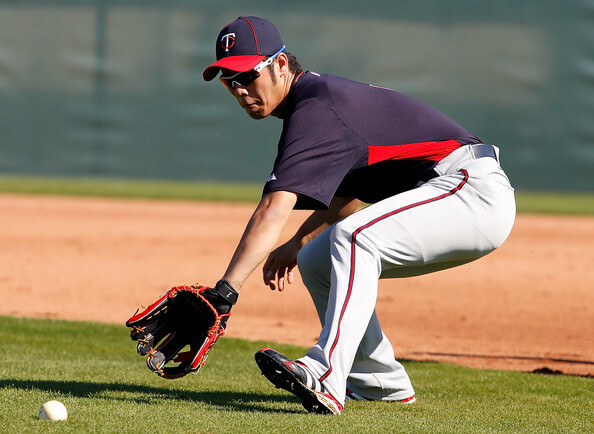 The Minnesota Twins assigned Tsuyoshi Nishioka to Triple-A Rochester on Monday. The Twins hope the struggling infielder can find a groove, build some confidence and relax a little in the minor leagues. Nishioka was hitting .240 in nine games this spring. After a difficult first season with the Twins, Nishioka has looked no more comfortable at the plate or in the field this spring training season. Nishioka was a five-time All-Star, a batting champion and Gold Glove winner in Japan. The move will shore up Luke Hughes' shot to make the team. The Twins have certainly been up and down throughout spring training. Their most recent 'up'? Beating Roy Halladay and the Philadelphia Phillies. Boom. Halladay was yanked in the third inning after getting rocked in the 6-4 victory. 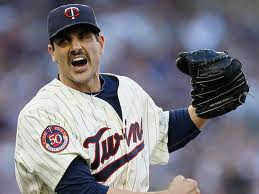 Twins starter Jason Marquis gave up four runs and eight hits in four innings. Josh Willingham hit a solo shot off Halladay in the first. His RBI single in the third tied it 202. Willingham is certainly showing his stuff early on. 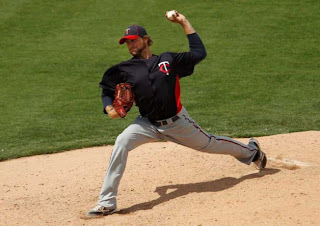 Let's hope he can continue that to the pitcher-friendly Target Field. Yikes! I can't wait any longer! Here is a mini-preview of the first 5 games at Target Field. I wasn't super happy to see the Twins lose to the Red Sox on Monday. I know, its spring training and these games are indicative of the season, but I'm a sore loser. 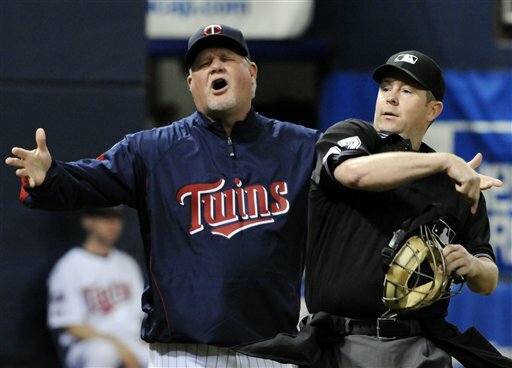 Yesterday, however, the Twins beat the Rays 3-2. That game is indicative of the season. I play by my own rules. Scott Baker pitched two hitless innings in his spring debut. 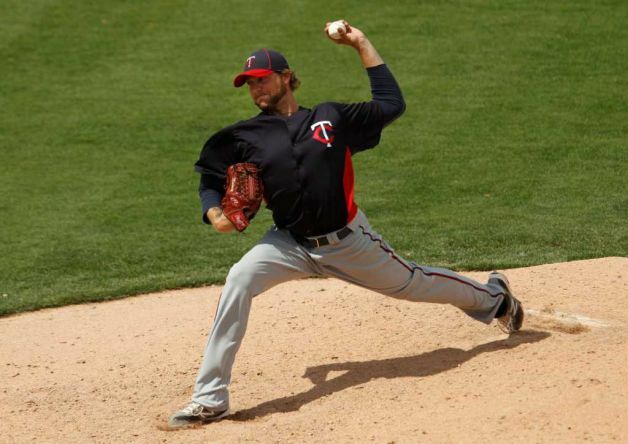 Baker went 8-6 with a 3.14 ERA for the Twins before a season-ending injury to his elbow. That being said, Baker had a great outing. I'm sure Twins fans everywhere appreciate his good health. At least we have one player not contemplating retirement should his injuries persist. Ahem. Casilla also performed well. He had two hits for the Twinkies, bringing his spring batting average up to .556. The Rays are winless in their four exhibition games, three of the losses are against Minnesota. Boom, baby.